Just how important is business class aviation to your community? Consider the some facts. Business aviation contributes $150 billion to U.S. economic output, and employs more than 1.2 million people. 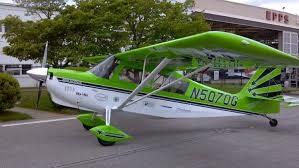 The vast majority of general aviation aircraft used for business worldwide are manufactured, operated, serviced and maintained in the United States. Even the minority of those planes manufactured outside the U.S. are often “completed,” adding avionics, electronics, automation systems, engines, paint, interiors and other aircraft components manufactured here in the U.S.